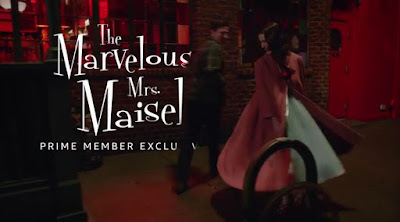 On Sunday night, the Golden Globes award for Best Television Series, Musical or Comedy, went to the Amazon video The Marvelous Mrs. Maisel. The show's first season had eight episodes, and its second season should be starting soon. 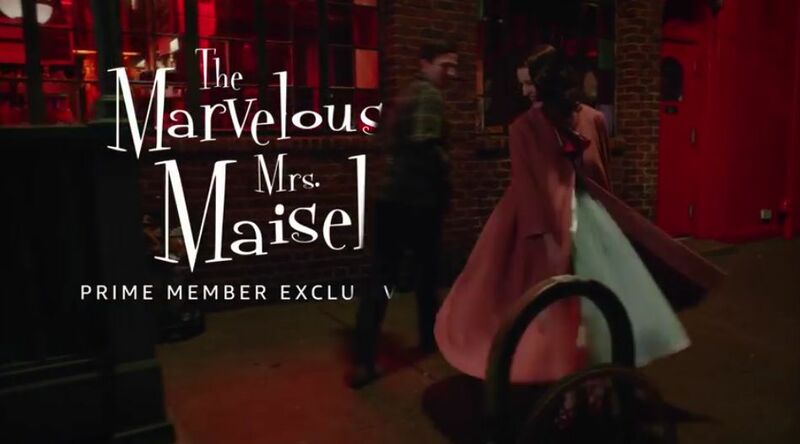 The Marvelous Mrs. Maisel is about as Jewish as a series could be. It recreates New York City in 1958, with an attention to detail that will bring back memories of the period to most of our readers. It's the late 1950s and Miriam "Midge" Maisel has everything she has ever wanted -- the perfect husband, two kids and an elegant apartment on New York's Upper West Side. Her father Abe Weinberg, played by Tony Shalhoub, is a math professor at Columbia and her father-in-law Moishe Maisel is the owner of a clothing manufacturing company in the garment district. Her seemingly idyllic life takes a surprising turn when she discovers a hidden talent she didn't previously know she had -- stand-up comedy. This revelation changes her life forever as she begins a journey that takes her from her comfortable life on the Upper West Side through the cafes and nightclubs of Greenwich Village as she makes her way through the city's comedy industry on a path that could ultimately lead her to a spot on the "Tonight Show" couch. Here's a look behind the scenes. Enjoy! Best TV show since Seinfeld.